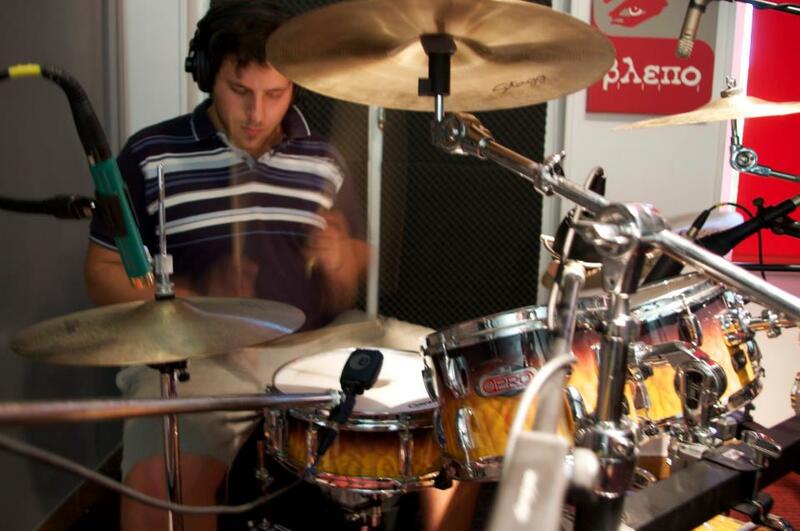 Aris Kampanos is a drum tutor with an experience of over 15 years. He has performed in over 10 countries across the continents of Europe and Asia, and taught extensively in England, China and Greece. Aris started to have an interest in drums and music since a young age, and on 2010 he decided to pursue a career in music, and moved to London. In 2011 he commenced a three year Bachelor’s course in Music Performance, and graduated with an Honours Degree in 2014. By the completion of his Degree, he was offered a place and partial tuition scholarship to continue his studies for a Master’s Degree in London which he completed on September 2015. Aris worked as an educator in London, UK until 2015. During his years in the UK, he also performed with many artists and at many respectable venues, including ‘Ronnie Scott’s Jazz Club’. In 2015, Aris decided to move to China to continue his career, where he taught Music and Drums at Sino Bright High Schools in Chengdu, China. Dom Famularo (NYC based), Dave Weckl (LA based), Pete Flood (London based), Lloyd Ryan (London based), Paul Jones (London based), Kostas Vamvas (Patras, Greece). Has also taken masterclasses from some of the best drummer and teachers in the world, including: Dom Famularo, Dave Weckl, Gavin Harisson, Russ Miller, Tony Royster Jr, Cobus Potgieter, Aaron Spears, Alex Acuna, Terry Bozzio, Florian Alexandru Zorn, Jojo Mayer and many more. He has also recently been accepted by the University of London, IOE (UCL) for his PGCE in Secondary Music. Thus, he will be coming back in London,UK in September 2017 and due to his limited time during his PGCE and school placements, he will be accepting up to ten students to teach in his private drum studio. If you wish to be one of the students please get in contact as soon as possible to make sure you secure your place. “My intention for any student is to turn him/her into a complete versatile drummer/musician ready to take on the challenges of the competitive music industry in the UK. Further pricing details: The charge per class is £40. Please note: I charge per class and not per hour! The duration of each class is decided by the needs of the student and can be longer than an hour if it is deemed necessary by the teacher. However, every class has a duration of at least 50 minutes. Ari is very friendly ,patient and easy going teacher. I have had a lot of fun receiving drum lesson with him.He's very knowledgeable and knows his work very well.He has given me lots of material to study and work on. Lots of books such as Syncopation,Jungle Drumming,Fresh Approach to the Drum set, Stick Control, Double Bass techniques etc. and little tips that have helped me progress significantly with my drumming in a relatively short amount of time. 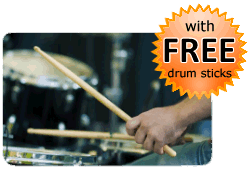 * PAY NOTHING NOW * Payments for drum lessons are made directly to Aris Kampanos. TRAVEL EXPENSES: If you choose for the Tutor to travel to the Student's location, the Student agrees to pay the Tutor's travel expenses. Estimated £ 5. 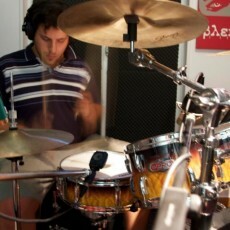 You do not pay in advance to book a drum lesson with Aris Kampanos via this website. The Booking Request Form on this page enables Aris Kampanos to get in contact with you to confirm a day and time for the drum lesson.